So much has happened in recently. The phone call you never want to get. The last minute plane tickets. Public crying – at my most happy of places – the airport. The person I have loved the longest in a hospital bed. Plus a massive head cold to add a little more icing on life’s cake. The worst time of my life. I kept wondering why I wasn’t spinning out of control from anxiety or sinking into a massive depression. Turns out I’ve been practicing living in the moment and now I’ve been called upon to do it for real. Let me assure you I am not in denial about the situation (I was for a few minutes, so I know I have snapped out of it. whew!) or that things have been easy. They haven’t. But what I realized is that by keeping myself in the present moment, I could actually help the situation. I could make decisions based on the information right in front of me. I could be fully present with my family when I needed to be — for them AND for me. Plus I could keep myself from falling off the What If ledge of insanity. So my friend, if you haven’t already started a daily meditation practice, please do. It’s not just you who benefits from your practice. By you living in the moment and staying present with the people you love, you can help change the world. Join Headspace. It’s free for the first 10 days. And like any good dealer, they just leave you wanting more. I’ve written about it before here. I get absolutely nothing for recommending this program to you except the good feeling that comes from showing someone what has worked for me. Learn about meditation from Andy Puddicome, founder of Headspace. Here’s his TED Talk. Not into Headspace? Babble likes these other meditation apps. Meditation Mantra Or How To Stay in the Moment Without Losing Your Marbles. So tell me…. 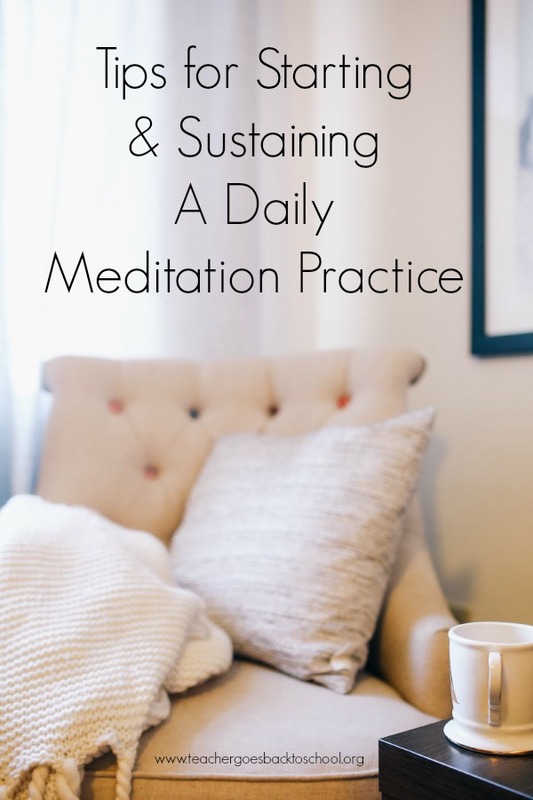 Do you have a regular meditation practice? How did you get started? What keeps you coming back? I would love to hear from you. Please let me know what you think. This entry was posted in A Yoga Story, Life as a Mama, Life At Home + The Neighborhood, Self-Care, Tiny Tips Tuesday and tagged Andy Puddicome, daily meditation, headspace, helping your family through crisis, tips for starting a daily meditation practice by Teacher Goes Back to School. Bookmark the permalink. Many big hugs to you, sweet Tams. And I love this and needed to read this today. Thank you.